Click the “View Live Auctions” button to list all current auctions available for bidding. Browsing the menu categories below will return a list of related items and may include some that have recently closed. Lloyds Auctioneers & Valuers specialise various auction types, including Online, Onsite & Offsite Auctions and Tenders. Online Auctions are the smarter way to shop. Quick and easy, they represent highly accessible value for money. Bidding via the Internet is a secure, modern method to acquire goods – both new and old. Everyday consumers and collectors alike are now using reputable online platforms like Lloyds Auctions to procure an extensive array of products, in-demand equipment and various items of rarity – all at the click of a button. The process of setting up a new user account on the Lloyds Online Auction platform takes only a few seconds. Once you’ve received your confirmation email simply validate it and you’re ready to place your first bid. 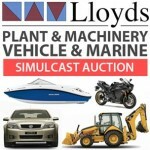 Lloyds have a wide variety of goods under the hammer, providing excellent bargains to the online bidder. Many auction lots (individual items) are completely unreserved (meaning there is no reserve price that must be met) and start at just $1. Shopping online has marked benefits over the traditional method, particularly when it comes to auctions. The process of bidding online allows the potential buyer to watch items they have ‘wish listed’ anytime of day or night and keep a constant tab on progress – ensuring they get the best deal possible. Online auctions also allow anyone from any region – no matter the distance – to access products that they have been avidly searching for. This is particularly pertinent to vintage, antique and scarce items that might not be found elsewhere. Fast and easy shipping is available from Lloyds Auctioneers and Valuers. Physical inspections prior to purchase are also encouraged wherever possible for shopper’s piece of mind. Anyone can bid online with complete assurance. Whether an astute investor, somebody with a budding interest in second-hand goods or someone who is just ‘dollar conscious’ and looking to bypass retail mark-ups, this form of shopping is perfect for everyone. Lloyds Auctioneers and Valuers are a premier vendor with impeccable customer service and support. They are a well-trusted, reputable auction-house who always have a surplus of goods available to the public. Product information is highly transparent so that informed purchasing decisions can be made. Consumers are provided with an incredibly high level of variety and choice. 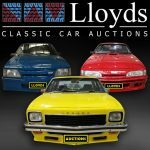 Lloyds Auctions sell a wide range of goods including jewellery, art, antiques, wine, clothing, home wares, machinery, computing, industrial, automotive, boating recreational and sporting equipment – plus, so much more. They stock items specifically with the collector or reseller in mind. Rare, antique and vintage items are readily available for purchase. Lloyds Auctioneers and Valuers come well regarded as purveyors of fine wares, high-end luxury goods and culturally significant artifacts. This is online shopping that greatly challenges the validity of paying retail. Lloyds provide an online bidding platform that allows customers to peruse current lots, access product information and to bid on items – no matter where they are based. All you need is Internet access, an email account and a payment method. There are no other requirements or constraints. It really is as simple and easy as that. So, no matter what you are looking for – and you’ll be amazed at what you might find – Lloyds Auctions have everything at your fingertips. Check out the current auctions today and shop smarter with confidence.